Each year on International Consumers Day a Chinese television station runs a program depicting how companies operating in China cheat and mistreat customers. This years program was focused on Apple, and has CEO Tim Cook in crisis control. China Central Television reported that Apple is mistreating customers by breaking the law by only giving a one year warrenty when Chinese law states that it must be two, and by overcharging customers for parts that were faulty. Since this program aired numerous newspapers and news programs have picked up on it and have criticized Apple for a lack of a response. One nightly news station even broadcasted Chinese journalists being turned away from Apple’s Chinese headquarters. Tim Cook has issued an statement of appology in a letter written in Chinese and the company has reformed its warrenty policies in China. The open letter has been reguarded as a very smart, and very “chinese’ things to do as it shows that the company accepts it has made a mistake and is willing to help fix it. Although the public is outraged there is a slight smell of conspiracy lingering as some oddball posts from celebraties and officials have seemed to be driving the publics opinion of the American technology manufacturer. The Chinese government has plenty of motive to bad mouth Apple as it looks to protect domestic competition. 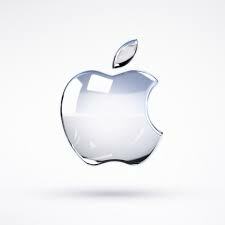 Apple sold about $20 million in China last year with 13% of its profits coming from China alone. Do you think this was a major flaw by Apple or a form of protectionism coming from the Chinese Government? What could Tim Cook have done to better his attempt at crisis control? ~ by matto2008 on April 1, 2013.